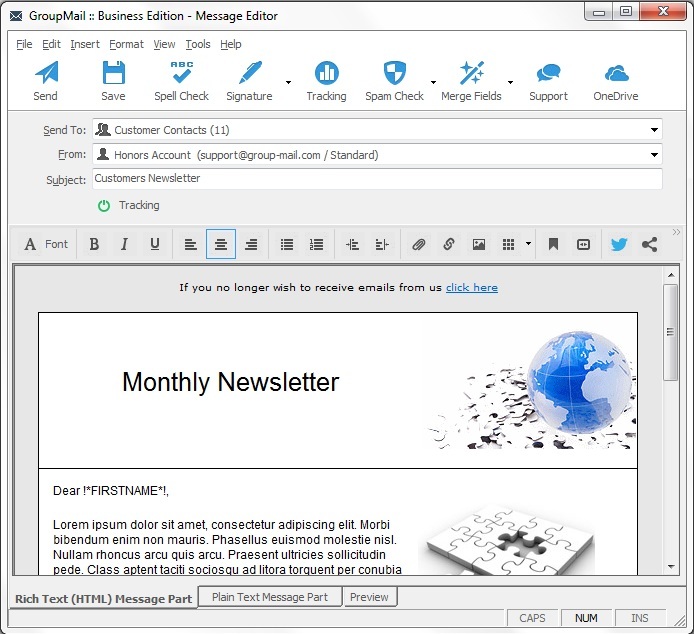 Yes, you can easily import HTML documents into GroupMail and save them as user-generated templates. 1. 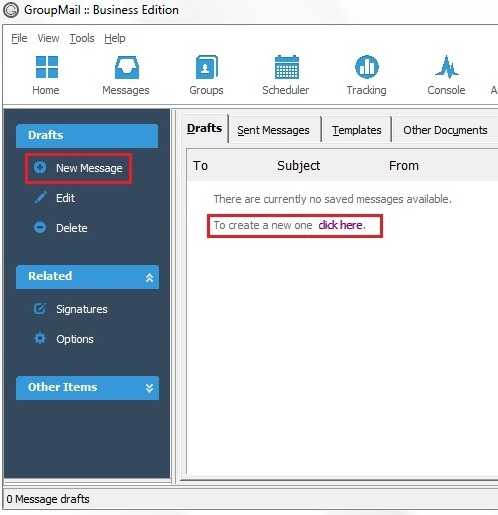 On the Messages screen, click on File/New Message to open the GroupMail Message Editor. 3. 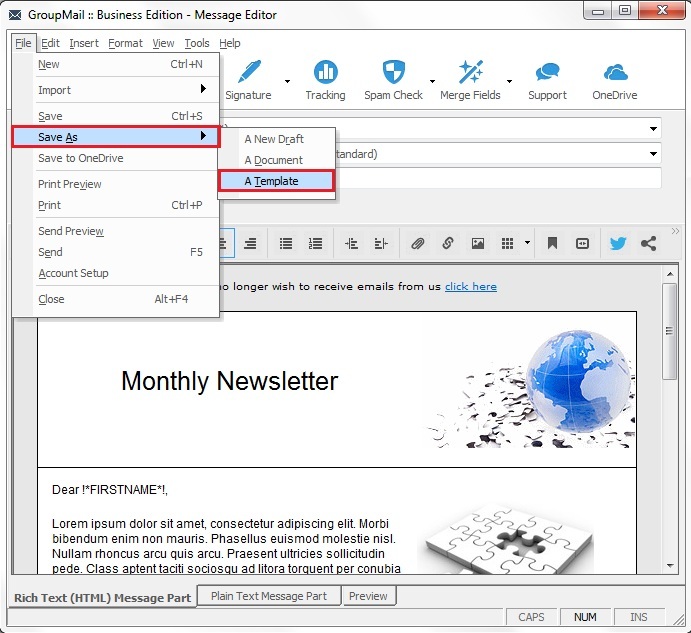 Select the HTML File from your computer hat you want to Import and click Open. 4. 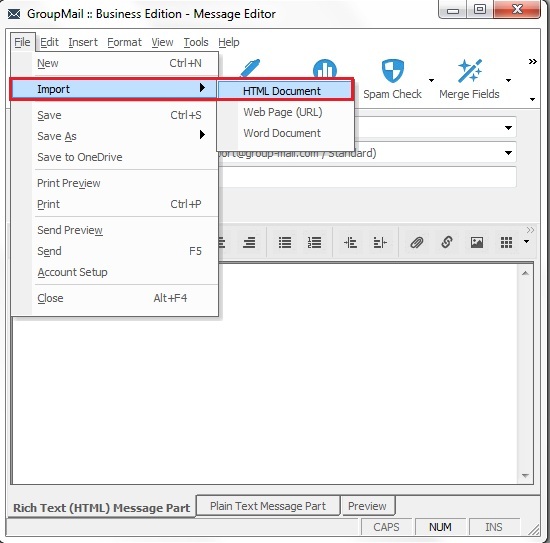 The HTML document will open in the GroupMail Message Editor. Add an appropriate Subject to the message. 6. 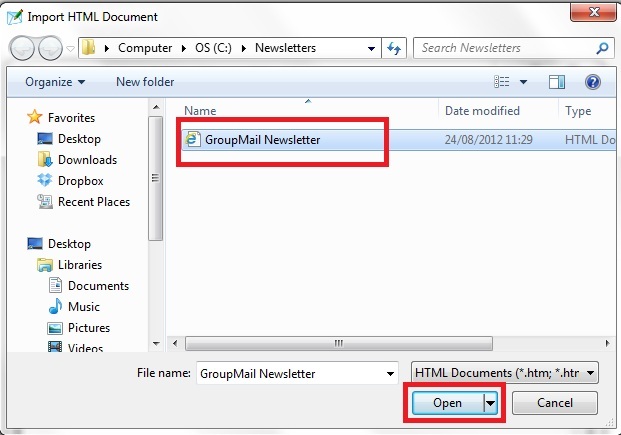 You will now find the imported HTML message in your GroupMail Templates Folder. 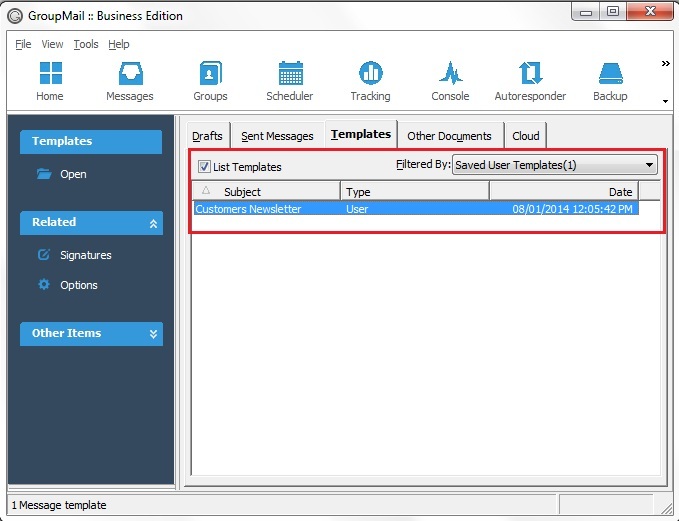 It will be saved under the Subject Line that you added to it. This template will be available to use whenever you want.